As a leader in environmental remediation services since 2001, Snyder Environmental provides safe and compliant remediation of environmental issues, including toxic abatement and removal. Our company’s internal culture of excellence ensures that your projects are approached with state-of-the-art technology and performed in a trustworthy and professional manner. If you’re faced with an environmental problem, our specialists work fast to provide a compliant, safe setting, and our systematic workflow helps us meet your quickest deadlines. 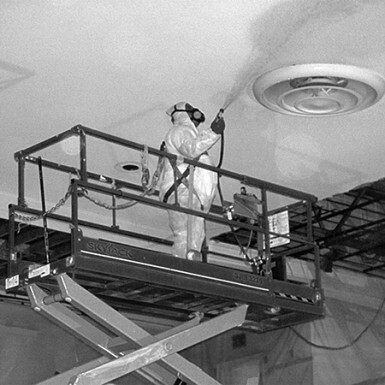 Headquartered in North Little Rock, Arkansas, with offices in Oklahoma, Texas, and Northwest Arkansas, Snyder Environmental specializes in asbestos abatement, mold remediation, dust control, and lead paint removal throughout Arkansas, Louisiana, Mississippi, Missouri, Oklahoma, Tennessee and Texas. When you trust Snyder Environmental to solve your environmental issues, you receive more than quality work and attentive service. You gain the peace of mind that your environment is clean, safe, and compliant. That’s the Snyder advantage. Snyder Environmental places great emphasis on training personnel and field workers. We are serious about safety and our teams don’t cut corners when it comes to proper containment, disposal, and protective gear. Snyder Environmental is one of only a few remediation companies with a dedicated Safety and Compliance Officer on staff. Our Safety and Compliance Officer provides our crews with all necessary training, strictly enforces safety standards, and makes sure that the crews that take care of the environment know how to take care of themselves first. Snyder Environmental has done several asbestos abatement projects for the Fort Smith Public Schools District. These projects have ranged from large abatement contracts to small emergency issues. All were done professionally and in a timely manner. As Director of Buildings & Grounds for the district, I appreciate the cooperative attitude of the company to work with us by scheduling the work at times to minimize contact with staff and students. I highly recommend Snyder Environmental. It gives me great pleasure that I write to you in recommendation of Snyder Environmental, who has handled our asbestos removal at the University of Arkansas at Pine Bluff for over 3 years. They have provided us with superior service and have been effective in meeting the most demanding challenges. I have found them to be very dependable and willing to do whatever necessary to meet our needs and our schedule. I can say with great confidence that Snyder Environmental will make an extremely valuable asset to your organization. Our innovative techniques and advanced machinery have cut costs for floor tile removal by 40 percent per square foot and concrete roof demolition by 50 percent per square foot. Through Snyder Environmental’s Giveback Initiative, we donate remediation services to charitable organizations. Please visit our Giveback Initiative page for details on signing-up or nominating an organization.